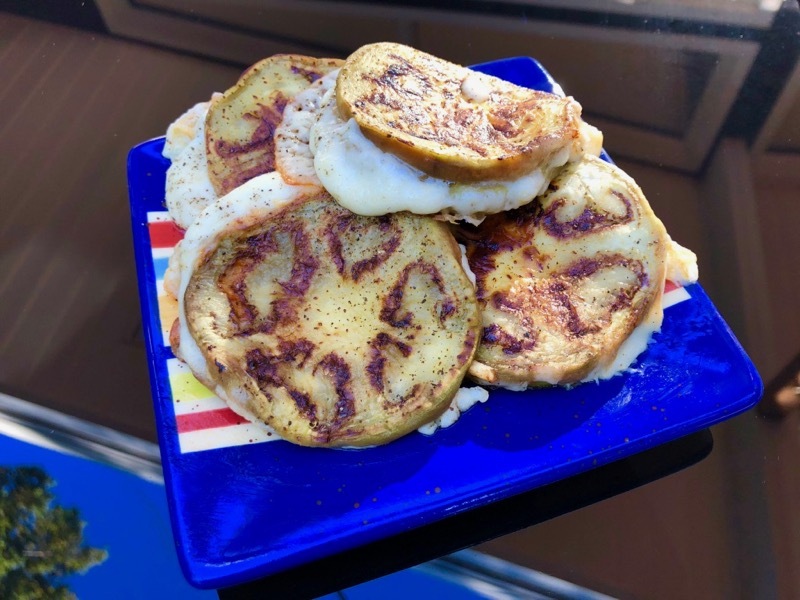 Unlike “vegan bacon” or some other abomination masquerading as something it’s not, this is what it says it is – eggplant grilled with cheese. Cook it and love it. Sprinkle the salt on both sides of the eggplant slices then, rest in a colander for thirty minutes. Rinse with cold water. Blot the discs dry with paper towel. Place a slice of cheese between each pair of eggplant slices just like a sandwich. Place a frying pan on medium heat and add the oil. Fry the eggplant sandwiches for four minutes on each side. Remove from heat and serve immediately topped with a few grinds of pepper.